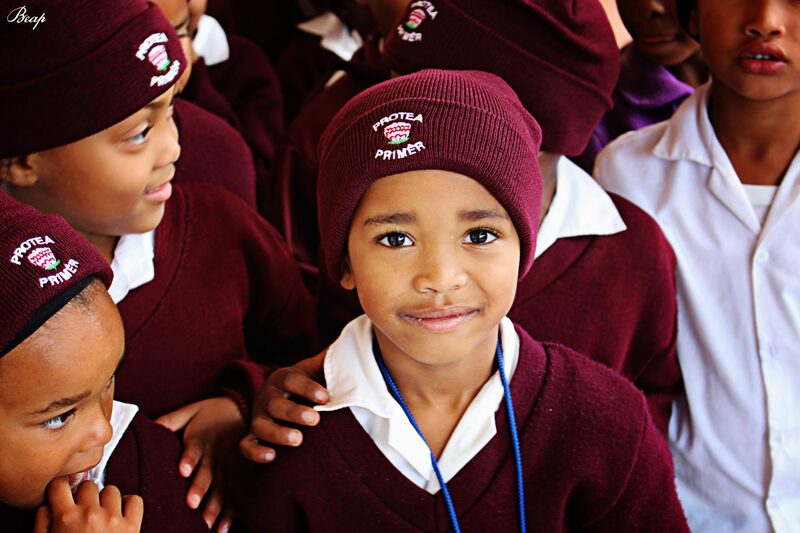 We continue to assist the young learners of Protea Primary in Napier. Mariska Purdy, the Drift Estate administrator, had established last year that the school had a lack of basic stationery required for the last two school terms. Dave Boulle, owner of Mason Complete Office Solutions, sponsored the stationery last year. This year the top of the wish list was a need for a variety of art materials. Thanks to generous donations from some of our private customers, the JDI Foundation and funds raised at The Drift Estate annual Solstice Dinner. The Trust was able to purchase the art supplies this year from Mason. The Drift staff gave up an evening to pack all the grade boxes and on a cold and windy morning, the Friday before Youth Day we arrived at school for the hand over ceremony. As is our annual tradition the Grade R class received their beanies so they will have lovely warm heads just in time for winter. We spent a lovely morning at the school and managed to wrap up all the festivities just as the rain came pouring down, which are much needed in the Western Cape. 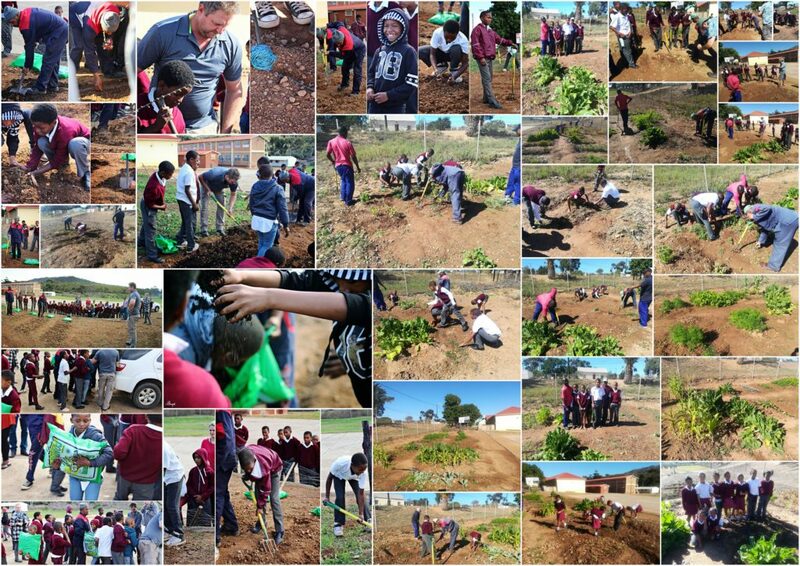 Below is a gallery of pictures to show the progress for the school’s vegetable garden that we helped establish and will continue to keep an eye on with the help of our Head Gardener, Piet Oerson. There is also a letter of thanks from the principal of Protea Primary, Mr Temmers. Our second project this year is assisting Nuwerus Nasorg, a local daycare in Napier. Beverly Dufton and her team (of mostly volunteers) are doing a fantastic job with the minimal resources they have. They help almost 200 kids off the street each day by providing lunch and assisting them with their homework. They also offer a drama program. In addition to helping older kids, they have a crèche with two classes. The growing need for daycare has resulted in the crèche outgrowing their current space and we believe that raising funds to build another classroom would greatly assist them. They also have a safe house for young mother’s on the property that needs insulation. Each year at the Solstice Dinner, Bruce auctions off a case of his personal library wines, in a beautiful wooden box sponsored by Connoisseur Mouldings. We are happy to report that at the recent Solstice Dinner, hosted by DW Eleven-13 in Johannesburg, the auction funds received will now all us to sponsor the insulation of the safe house. We will continue to donate a percentage of all the Moveable Feast sales to the Headstart Trust to further other needs of these projects. If you would like to get involved or learn more about this wish lists from both these projects please contact Catherine, our office manager – catherine@thedrift.co.za.